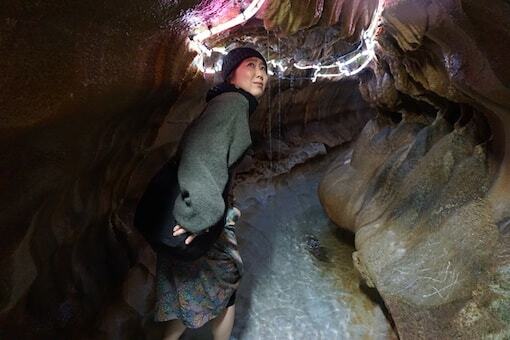 Sebustu Shonyudo Cave in Kitakyushu is so much fun. It’s a safe but exciting adventure that all the family can enjoy. 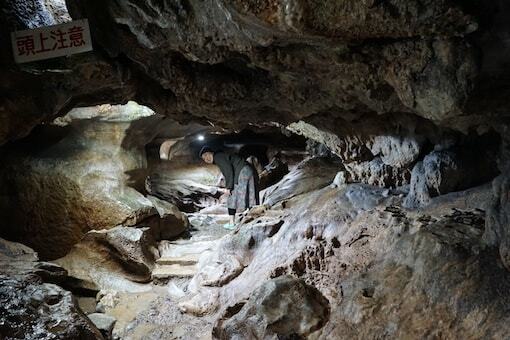 No special caving skills or equipment is required. Read on to find all about this enjoyable activity. Let’s get wet and slippy! 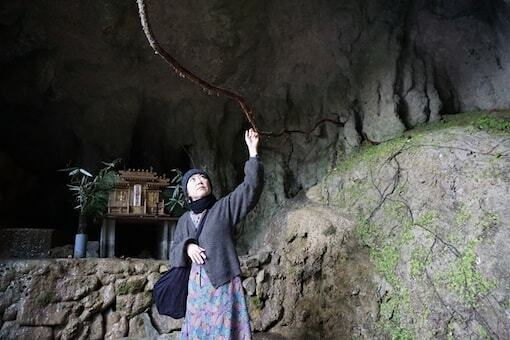 Sebustu Caves are in Kitakyushu. From Fukuoka City it would be a 90-minute drive. We drove from our house less than an hour away. It was a rainy day so we wanted to do something dry. Ha! How wrong we were! 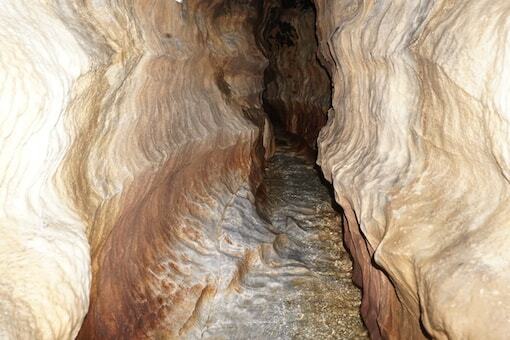 We never imaged there would so much splashing through water inside the cave. 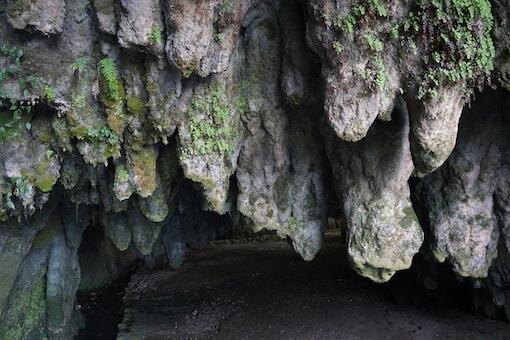 The caves are in Hiraodai Countryside Park which is famous for its striking limestone scenery, wild flowers and birds. It’s a good place for camping and hiking so gets most visitors from spring to autumn. The car park is huge so I guess in season it’s crazy busy. 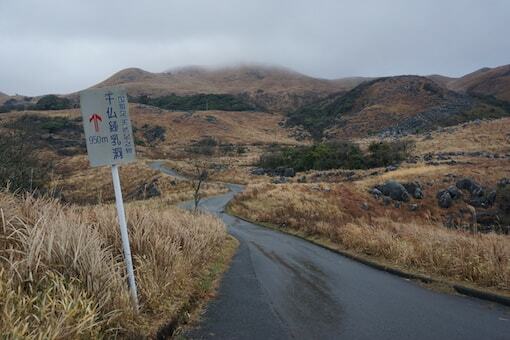 We went on a rainy afternoon in February and there was hardly anybody there. To reach the caves from the car park is 10 minutes steep walk down. 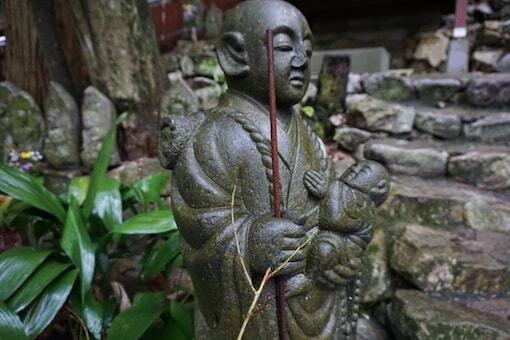 There is a small shrine at the entrance and some little statues. I guess in the olden days those brave enough to enter would pray. We didn’t feel the need to pray so had some some noodles at the cafe instead. I can’t really recommend the noodles (sorry). The area is famous for bamboo cuisine so you can try this instead. Bamboo restaurants are only open for a couple months (March to early May) so we missed them too. Honestly speaking our timing wasn’t great. Pay your entrance fee and borrow some sandals if you didn’t bring your own. Duck down under the stalactites to enter. It starts off big and cavernous but soon gets smaller. There is a single path through the cave system so it’s impossible to get lost. It’s well-lit and easy to walk the first (dry) part of the route. However it soon gets wet and the path becomes a stream. The water is freezing when you take your first step. I mean so cold I wanted to turn back. Luckily Moo was forging ahead so I felt I had to follow. Moo wasn’t very impressed with the sign that said in Japanese, “Don’t touch the lights, big danger of electrocution”. As you continue the path gets smaller and narrower and the water gets deeper. Happy to report it never goes above knee-height. You know you’ve reached the end when it suddenly becomes completely dark. I took the photo below with my camera flash. Actually you can see the path continues. I read that if you keep going with a flashlight you’ll find a big cavern and three waterfalls. That adventure through the blackness, though, is for a man braver than me. The photos don’t tell the story so well. Take a look at the 1-minute video I made to see how it really is down there. 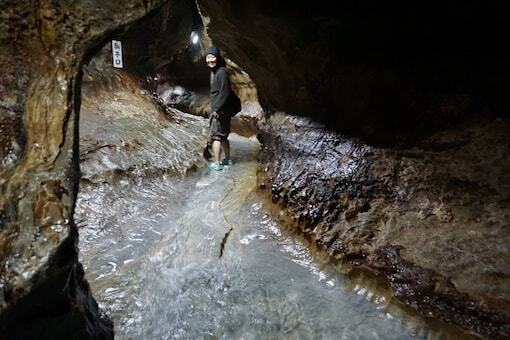 Overall Senbutsu Shonyudo cave is a safe and fun adventure. I had no problems and I’m no action man or olympic athlete. We were in for about an hour. It’s one path in then the same path out so no chance of getting lost. I suppose the only danger is slipping as you walk through the water. Just be careful and you’ll be okay. The kids will love it. 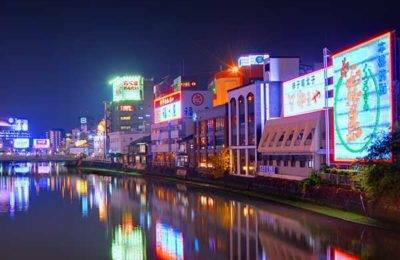 Contact us to help arrange your Kyushu trip. 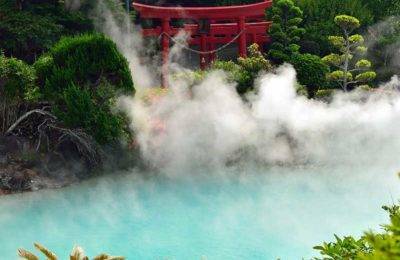 Follow us on Facebook to get more ideas for your Kyushu trip. All text and photos by me or Moo. Leave your comments or questions below. We’ll be happy to answer. 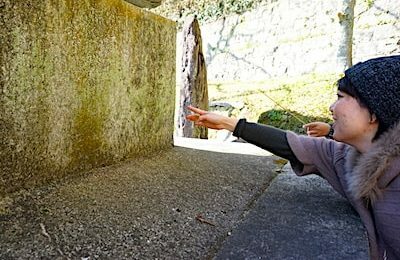 If you’ve been to Senbutsu cave add any tips, advice or information so other readers can benefit.